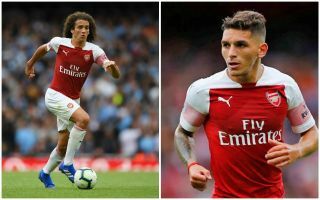 Arsenal legend Alan Smith has tweeted about the performances of youthful midfield duo Lucas Torreira and Matteo Guendouzi in today’s game against Manchester City. Despite trailing 2-1 to Pep Guardiola’s side at the time of writing, Arsenal have given a pretty good account of themselves in today’s difficult match at the Etihad Stadium. Both joined Arsenal in the summer and have quickly become key players for Unai Emery’s side, but Smith says it’s just a shame the man who brought them in is leaving. It’s widely thought that Torreira and Guendouzi were Sven Mislintat signings, with the former Borussia Dortmund chief earning a reputation for finding top young players on the cheap. The German joined Arsenal as head of recruitment last season but is now leaving the club, as confirmed by their official site recently. As Smith notes, it does look like a shame for Arsenal to be losing such a top talent spotter as Torreira and Guendouzi prove excellent finds.